My review below might contain very *minor* spoilers, you’ve been warned! Synopsis: The erratic decisions of a prophecy-obsessed king have drained Innis Lear of its wild magic, leaving behind a trail of barren crops and despondent subjects. Enemy nations circle the once-bountiful isle, sensing its growing vulnerability, hungry to control the ideal port for all trade routes. Review: Given my star rating above, I’m sure it’ll come as no surprise that I LOVED THIS BOOK! 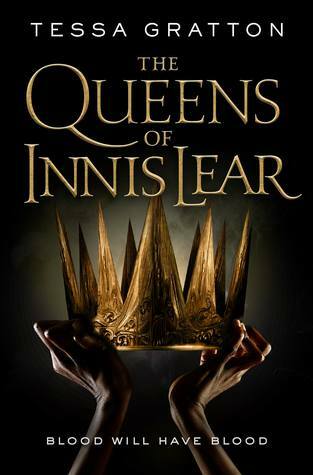 So, when I first heard about The Queens of Innis Lear it was pitched as Shakespeare’s King Lear told Game of Thrones style and hey, I’m all here for that! But I had never actually read King Lear, so like a good little bibliophile I went to google and found a Spark Notes summary (because who has time for MORE books on their TBR??). Having read this and with the reference to Game of Thrones I knew this might be a rough read if I got attached to any characters. And I was not wrong. But holy cow guys! This book is amazing! The reference to Game of Thrones is in the way the story is told through different points of view at various kingdoms within the world. And the world is so well built up. The island where most of the story takes place even becomes a character itself which happened to be my favorite part of the entire story. Another fantastic part of this book is the diversity of the characters, racially and in sexual preference and gender presentation. And to add to this, the sexual preferences and gender presentations aren’t explicitly drawn out, but so ingrained as a part of their overall character that you know it without the author having to tell you. Overall, this was just a fantastic read and even though the hardcover is close to 600 pages, it goes by so fast. Absolutely pick this one up if you like adult high fantasy!